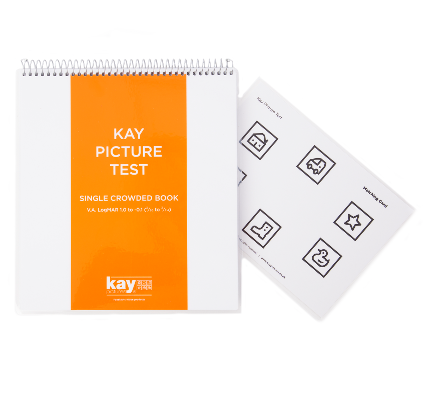 Our Kay Picture Test Screening Chart is a double sided distance screening chart for vision testing at school entry, GP practice or other screening environment without the child needing to know capital letters. This is a very quick and easy test process with single and line presentation at three metre test distance. The screening chart uses our new, fully researched picture optotypes which provide reliable visual acuity measurement comparable with ETDRS. It measures from 0.80 to -0.10 (3/19 – 3/2.4) with the last five sizes having a linear format so that a crowded acuity measurement is possible. The central row of four pictures can be scored to provide an acuity measurement per optotypes. 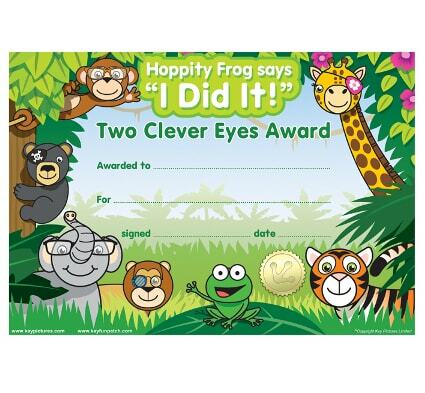 The chart is suitable for children aged 4+. If you would like to learn more about the research behind the redevelopment of our optotypes, please click here . You may also like our Kay Picture Near Test Cards.